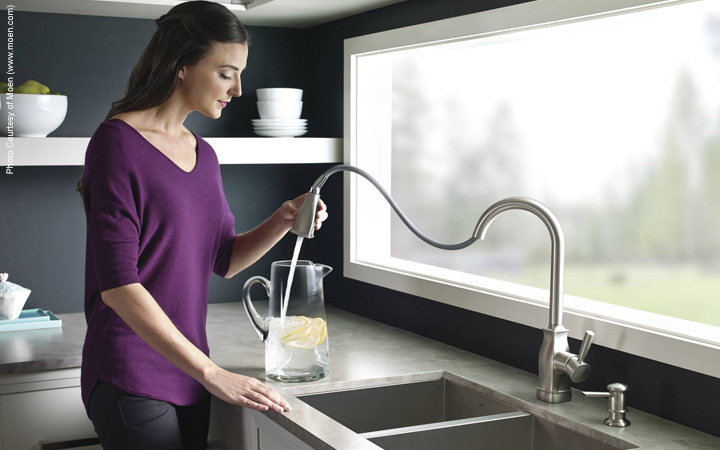 In years past, water was a relatively inexpensive commodity for homeowners in the U.S. and few people paid attention to the cost and their own usage. However, the price of residential water service in the U.S. is rising. The average monthly cost of water for a family of four using 100 gallons per person per day climbed 6 percent this year. Here are some strategies for conserving water indoors that can help you save money, as well as make sure you have the water you need. 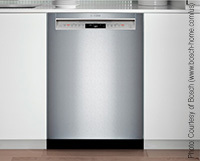 A dishwasher can use 25 gallons of water per load. New ENERGY STAR rated machines can effectively clean dishes using minimal water and energy. Other dishwashers should be run only when full, saving 10-20 gallons of water a day. Use the short cycle, if available. Soil sensors help keep your dishwasher from using more water than necessary. 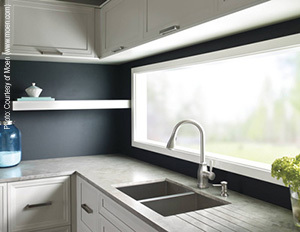 Water efficient kitchen faucets can help you conserve water by providing a flow rate of 1.5 gallons per minute (gpm) as compared to the industry standard of 2.2 gpm, which will result in a water savings of up to 30 percent. Instead of running water, rinse produce in a tub of clean water, then reuse the water in your yard. Showering accounts for nearly 17 percent of residential indoor water use, which can add up to nearly 40 gallons per day. Consider reducing time spent in the shower to 5 minutes. Install low-flow showerheads with a maximum flow rate of 2.0 gpm, which uses up to 30 percent less water than the standard showerheads of 2.5 gpm. Some showerheads meet performance requirements with a flow as low as l.5 gpm. Select WaterSense labeled l.5 gpm faucets that use 30 percent less water than standard 2.2 gpm faucets yet still meet strict performance guidelines. Turn off the tap while brushing teeth. 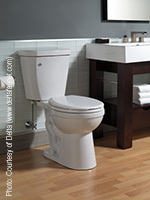 Toilets account for almost 30 percent of water use in the home, the single largest source of indoor water usage. Today’s WaterSense low-flow high-performance toilets can efficiently flush solid waste with only 1.28 gallons of water per flush (gpf). This is 20 percent less water than the current federal standard of 1.6 gpf for new toilets, and up to 60 percent less than older toilets which typically use 3-5 gpf. There are also dual-flush toilets that flush liquid waste with 0.8 gpf and solid waste with 1.28 gpf, providing even more water savings. The EPA states that by replacing old, inefficient toilets with WaterSense labeled models, the average family could save $110 per year in water costs. Washing machines can use 45 gallons of water per load. Choose ENERGY STAR rated front-loading machines or high-efficiency (HE) top-loaders that use 13 gallons of water or less to wash an 8-pound load. Top-loaders with agitators are less expensive, but tend to use more water—up to 27 gallons for an 8-pound load. 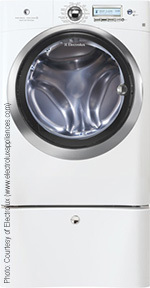 Without variable load control, run a washing machine only when it’s full. Like this article? Share it with your friends and family! 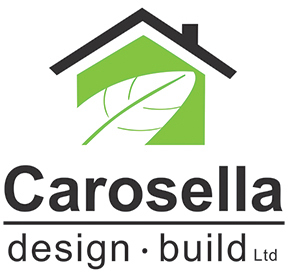 Carosella Design Build, Ltd. is a full service remodeling and construction firm. Our company has had one clear and consistent mission: We will strive to provide our customers with excellent service and professional craftsmanship at a fair and competitive price. We will strive to provide an orderly, professional and pleasant remodeling experience. © 2015 RT Marketing inc. All rights reserved. Reproduction without prior consent is expressly prohibited.